If you like this free game, try Koi Solitaire. Solitaire meets inlay in this fresh take on two classic games. Armed with only a deck of cards, can you clear boards and save the kingdom? Get charmed now by Charm Solitaire's 63 levels of fun! 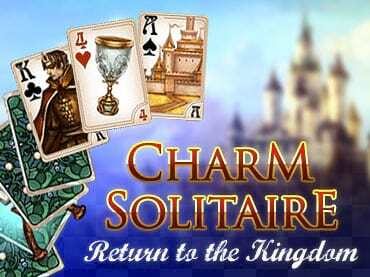 If you have questions about Charm Solitaire: Return to the Kingdom game, please contact us using this form.